Ah, the memories of Speedball 2! Hopefully, with Steel Circus, Iron Mountain Interactive will be able to bring back that awesome feeling from the Bitmap Brothers' classic futuristic sports game. 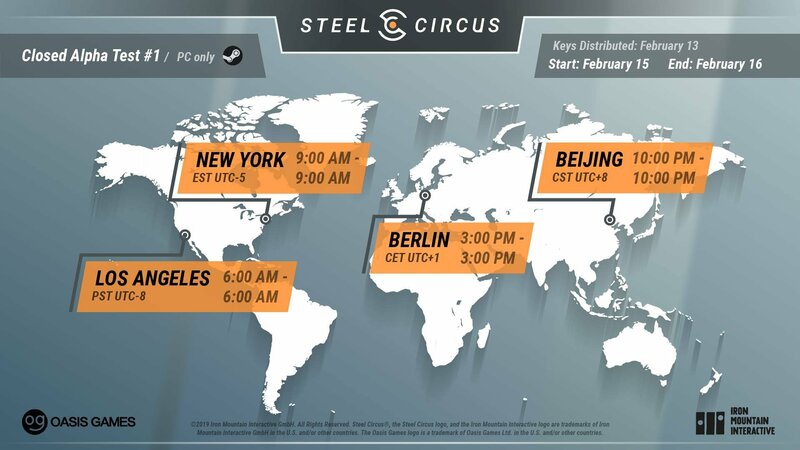 Steel Circus is going to host its first closed alpha test at a global scale this weekend. Keys will be distributed tomorrow, February 13 (if you signed up at the official website, otherwise, no key for you), and you will be able to play for 24 hours, starting on Friday at 3pm CET / 9am EST / 6am PST. You can check all the times below, according to your region or close.